Fewer and fewer Android phones are being released with SD card slots, so it's always a struggle to make sure you have enough free storage space for your photos, videos, and music. Things like app data and cache slowly build up as you use your device, which means your available storage number gradually decreases over time. 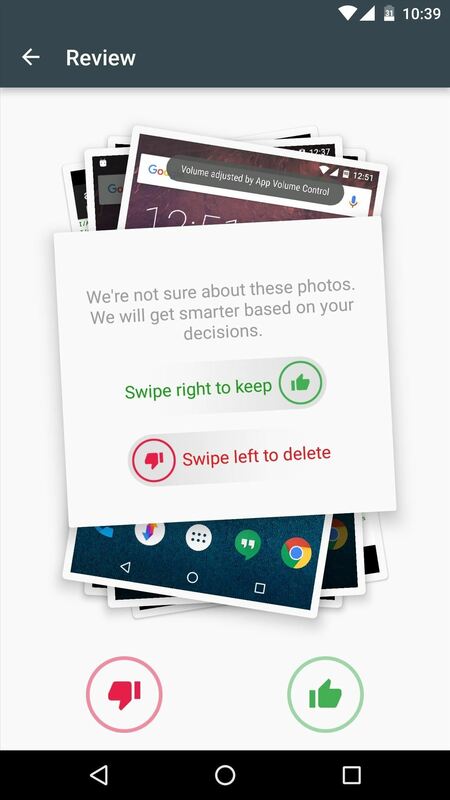 But we're not without hope, because several Android apps can almost automate the entire process of keeping your device's storage nice and tidy. There are a few new standouts in this category, as well as a couple of tried and true space-saving apps, but I'll cover the benefits of each below. First up is Gallery Doctor from AVG Labs. The basic premise for this one is simple—the app identifies duplicate, blurry, and bad photos, then makes it incredibly easy for you to review and delete these images to free up space. As soon as you open Gallery Doctor, it will start scanning for photos and videos that would make good candidates for deletion. From here, it arranges them into categories—Bad Photos, Similar Photos, Photos for Review, Long Videos, WhatsApp Photos, and Screenshots. The "Photos for Review" section lets you quickly delete questionable images by swiping to the left, or keep the images by swiping to the right. If you tap "Similar Photos," on the other hand, you'll be taken to a menu where the best photos in a series of shots are already picked out, so all you have to do is tap the "Delete" button to get rid of redundant images and free up space. Next, we have ClearMeOut from Indivisible Industries. This one will definitely come in handy if you constantly find yourself deleting files from your Downloads or Documents folders, for instance, because it can either automate this process or make it as simple as tapping a single button. ClearMeOut doesn't exactly have the prettiest interface, but that's fine, because it's all about deleting files quickly, so you won't be spending much time in this app. To set things up, head to the Preferences menu, then choose any folder that you'd like to clear out periodically. 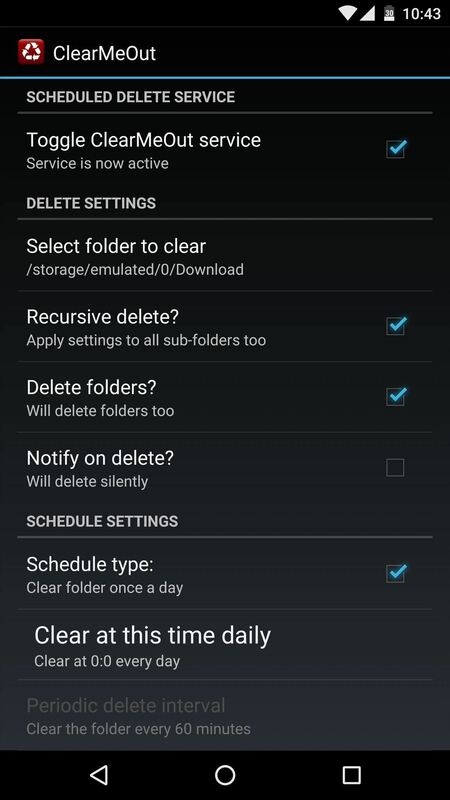 From here, you can choose whether or not you want the app to also delete the subfolders within the selected directory, and you can also opt to have it delete all files within subfolders. After that, you can set it to clear your selected folders automatically on a schedule, or you can simply open the app and tap "ClearMeOut Now" any time you want to free up space. Our third space-saving app has established itself as a trusted brand amongst Windows users, but now, CCleaner by Piriform is also available on Android. 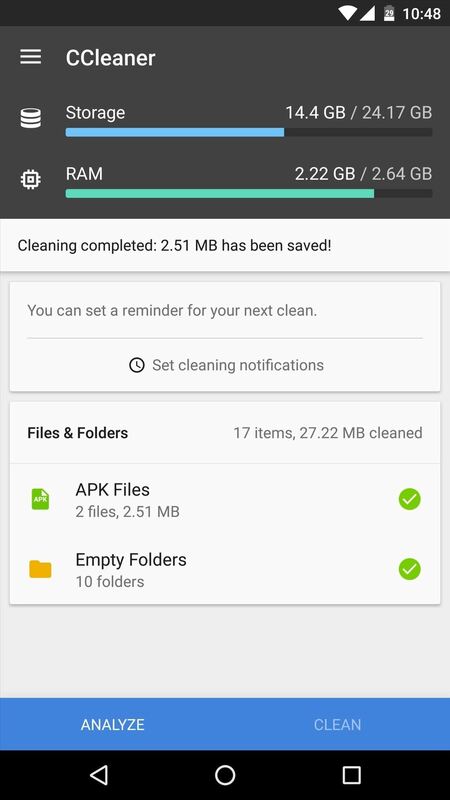 Just like its PC counterpart, it's a multipurpose cleaner that gets rid of accumulated app data to free up space for the things that matter most. 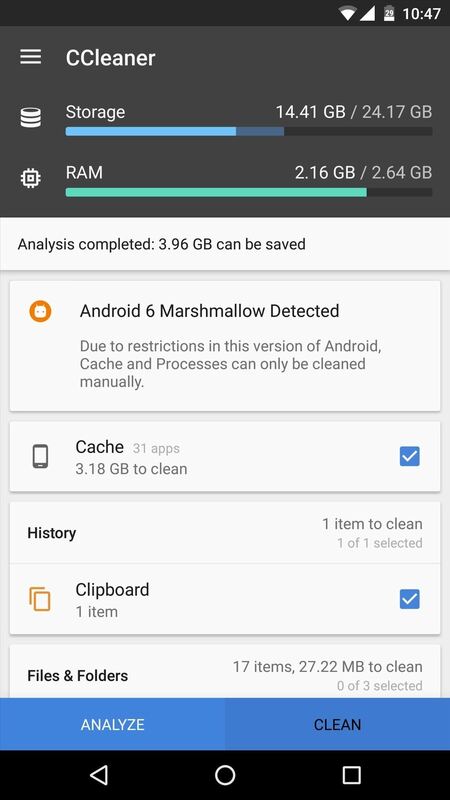 As soon as you launch CCleaner, the app will automatically scan your device looking for useless app cache, thumbnails, APK installer files, and old downloaded data. Once it's finished with this scan, you'll get a report on how much space you can potentially save. From here, simply scroll through the list and tick the boxes next to any category you want to delete. Finally, just tap the "Clean" button at the bottom of the screen, and CCleaner will automatically delete the unwanted files. The next entry in our list is quite similar to CCleaner, but with one big exception. 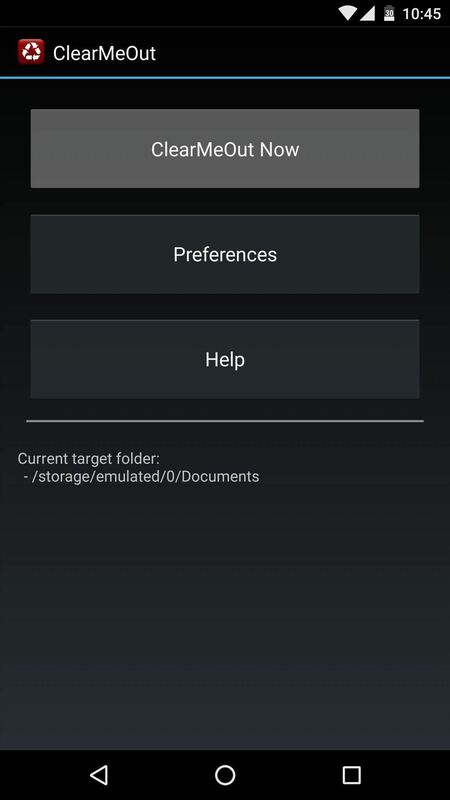 SD Maid from developer Darken requires a rooted device, but this means that it can clear up space in folders that other apps simply cannot access. 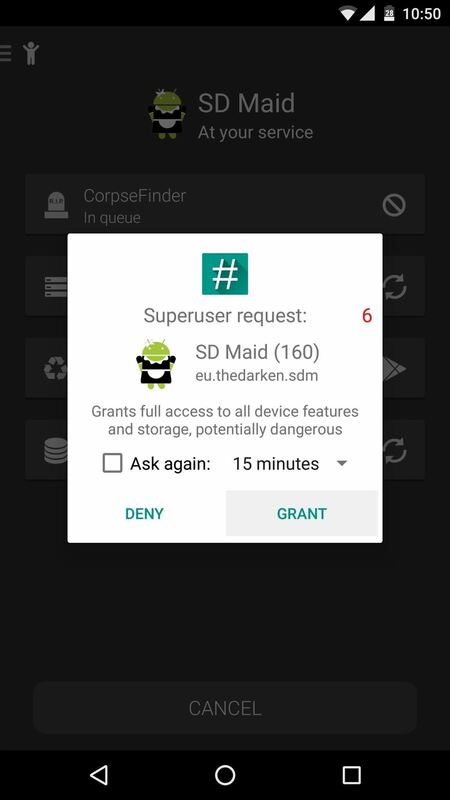 When you first launch SD Maid, you'll have to tap "Grant" on the superuser access request. 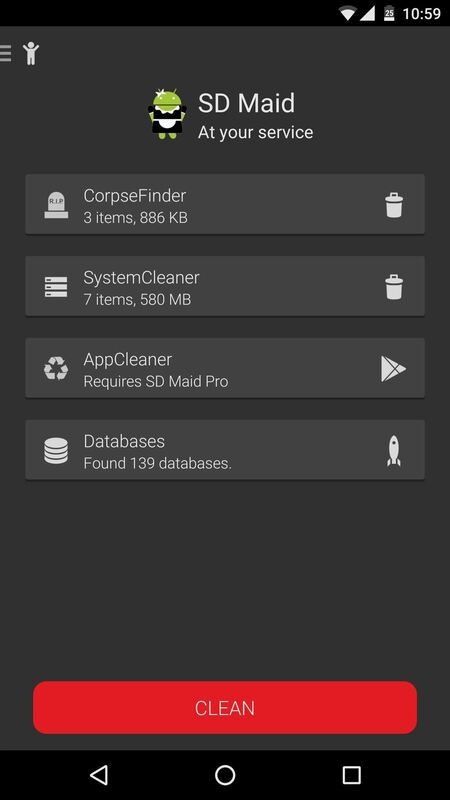 From here, simply tap the "Scan" button at the bottom of the screen and SD Maid will thoroughly comb your device for unnecessary files. Once the scan is finished, you'll get a report of the space you can save. The Corpse Finder category shows files that were left behind by uninstalled apps, the System Cleaner category consists of cache for your system apps, and the Databases category shows entries that can be optimized for speed. To clear all of these up and save space while speeding up your device a bit, just tap the "Clean" button at the bottom of the screen. The last app in our list has been around a while, and it isn't quite known for its space-saving abilities. 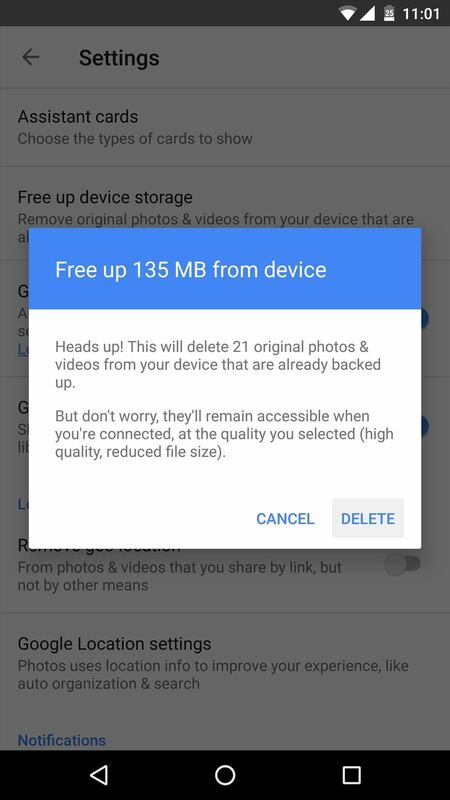 Google Photos is an awesome cloud storage service for images and videos, but that also means that it has the potential to save a bunch of local storage space—especially when you factor in a new "Free up device storage" feature. 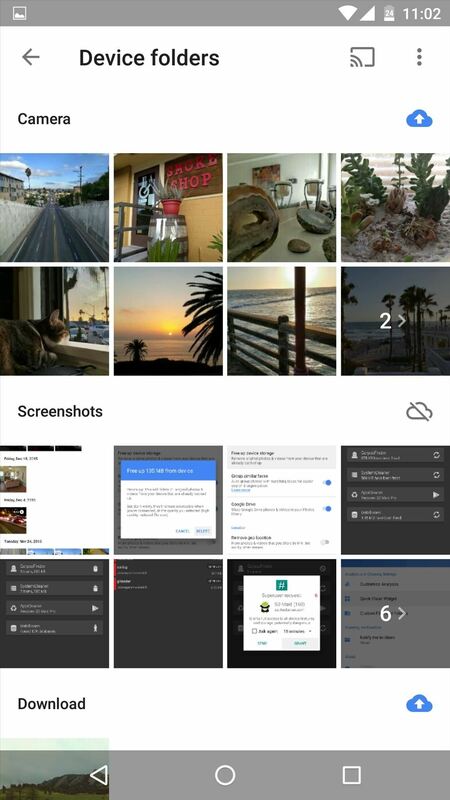 The best part about Google Photos is that it can automatically back up any pictures or videos on your device at full resolution, and it does it all for free. After installing the app, make sure to opt into this service during the initial setup tour and give it some time to successfully back your media up to the cloud. 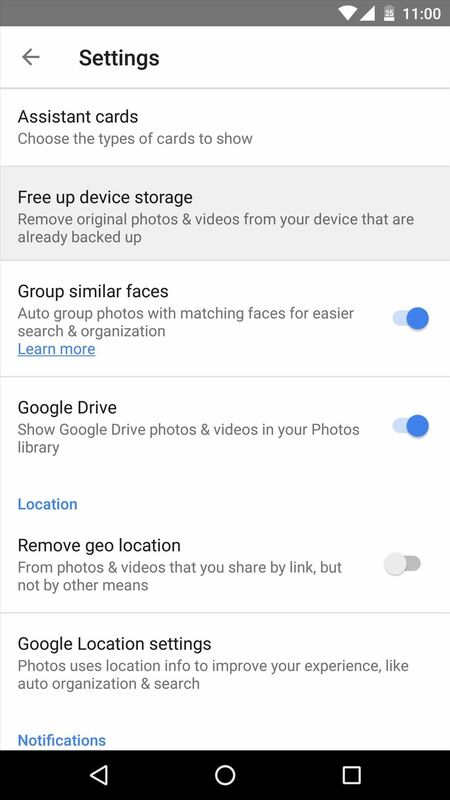 Then, once the files are stored on Google's servers, you'll be able to view and share the images even if you delete them from your local storage. So to easily save some space, head to the Settings menu, then tap the "Free up device storage" entry. 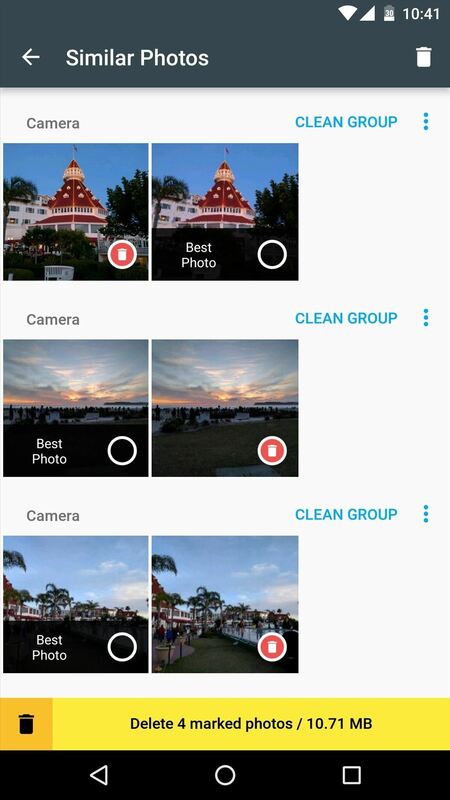 From here, Google Photos will look for redundant copies of your pictures and videos, and when it's done, just tap the "Delete" button to save some serious space. 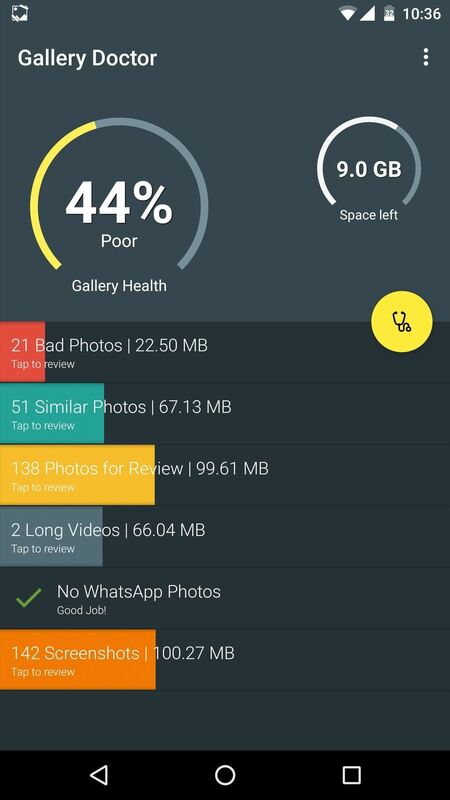 How much space did you save using these awesome Android apps? Let us know in the comment section below, or drop us a line on Android Hacks' Facebook or Twitter, or on Gadget Hacks' Facebook, Google+, or Twitter. I have been using CCleaner for past one year and it works really well for me. Others apps are also quite good , specially Google photos. It saves much memory space. Thanks for ClearMeOut. I had been trying to delete downloads. And, of course, I heavily rely on my Google Photos.